How Can Merchandisers Create and Maintain Relevant Pairings? In retail – 200,000 products can quickly become 2,000,000 SKU’s to manage. For retail merchandisers; this presents a real challenge. New products are added, the inventory of current products fluctuates and some products sell out entirely. Considering this, how can merchandisers create and maintain relevant pairings and ensembles for display on or off-line? Currently, the answer to that question is they can’t. Soon after an ensemble is created with key items, any of those items have the potential to sell out. Imagine if a key item is featured in 30+ carefully curated collections. What if that item sells out in hours? There is no way for retailers to easily edit and customize 30+ ensembles to account for inventory changes. No wonder retail SKU management and inventory management are phrases often muddled under a merchant’s breath. There are many ways that retailers choose to approach this challenge. 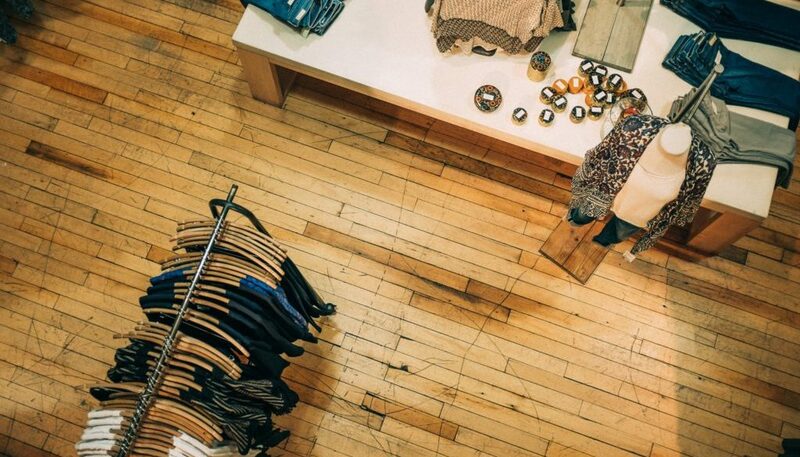 For instore, retailers can use products on the floor for inspiration. They aren’t able to create ensembles for out-of-stock options. The story is different online. Two situations arise when an item is out of stock. The shoppers either attempt to shop outfits or rooms that are out of stock or they cannot shop the outfit or room at all because it has been pulled from the site. It is well known that when an ensemble is relevant and well presented, the items in that ensemble are often the first to sell out. We see this in malls across the country through window displays and online for those retailers that attempt to take it on manually. There has not been a solution to help merchandisers address this issue at scale. Why is Merchandising difficult to replicate? Merchants are highly skilled and what they do is as much of an art as it is a science. They can distinguish how and why items go together. A seasoned merchandiser’s talent is developed through education, certification, and experience. I have frequently spoken with our Merchandiser in Residence about her experience in merchandising and she described it as an ever-evolving art and science that responds to changes in people and preferences over time. Artificial Intelligence and machine learning are among tech buzz words frequently heard today. Machines today can be trained to process information and reason that historically could only be achieved by a person. Shoptelligence has created a machine learning algorithm that applies merchandiser preferences and brand essence to create automated outfits. Our machine learning algorithm takes into account shopper inventory and shopper preferences to populate the most relevant suggestions allowing shoppers to discover the retailer’s broader catalog. So why limit your merchants’ style inspiration and productivity when they could be providing style inspiration for every item in the catalog?